Metabolic changes in cells can occur at the earliest stages of disease. In most cases, knowledge of those signals is limited, since we usually detect disease only after it has done significant damage. Now, a team led by engineers at Tufts University School of Engineering has opened a window into the cell by developing an optical tool that can read metabolism at subcellular resolution, without having to perturb cells with contrast agents, or destroy them to conduct assays. As reported today in Science Advances, the researchers were able to use the method to identify specific metabolic signatures that could arise in diabetes, cancer, cardiovascular and neurodegenerative diseases. The method is based on the fluorescence of two important coenzymes (biomolecules that work in concert with enzymes) when excited by a laser beam. The coenzymes—nicotinamide adenine dinucleotide (NADH) and flavin adenine dinucleotide (FAD) – are involved in a large number of metabolic pathways in every cell. To find out the specific metabolic pathways affected by disease or stress, the Tufts scientists looked at three parameters: the ratio of FAD to NADH, the fluorescence “fade” of NADH, and the organization of the mitochondria as revealed by the spatial distribution of NADH within a cell (the energy producing “batteries” of the cell). The first parameter—the relative amounts of FAD to NADH—can reveal how well the cell is consuming oxygen, metabolizing sugars, or producing or breaking down fat molecules. The second parameter—the fluorescence “fade” of NADH—reveals details about the local environment of the NADH. The third parameter—the spatial distribution of NADH in the cells—shows how the mitochondria split and fuse in response to cellular growth and stress. 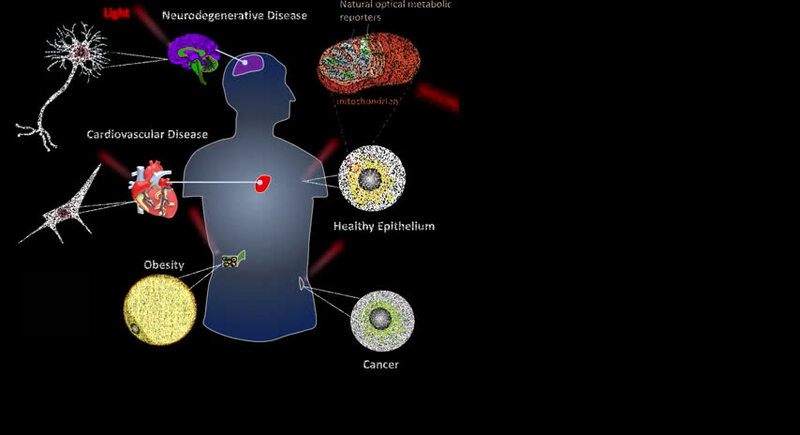 Other methods exist for non-invasively tracking the metabolic signatures of disease, such as the PET scan, which is often used in research. 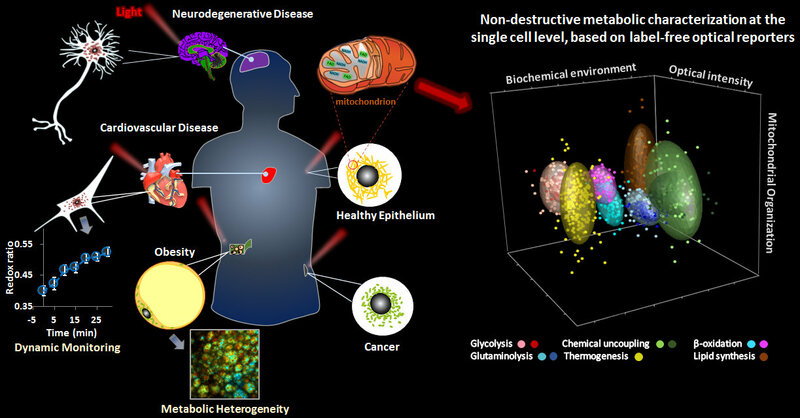 But while PET scans provide low resolution information with excellent depth penetration into living tissues, the optical method introduced by the Tufts researchers detects metabolic activity at the resolution of single cells, although mostly near the surface. That is not necessarily a limitation. Many diseases can be detected at the surface of tissues, including cancer, while many pre-clinical studies are performed with animal models and engineered three-dimensional tissues that can benefit from being monitored non-destructively. 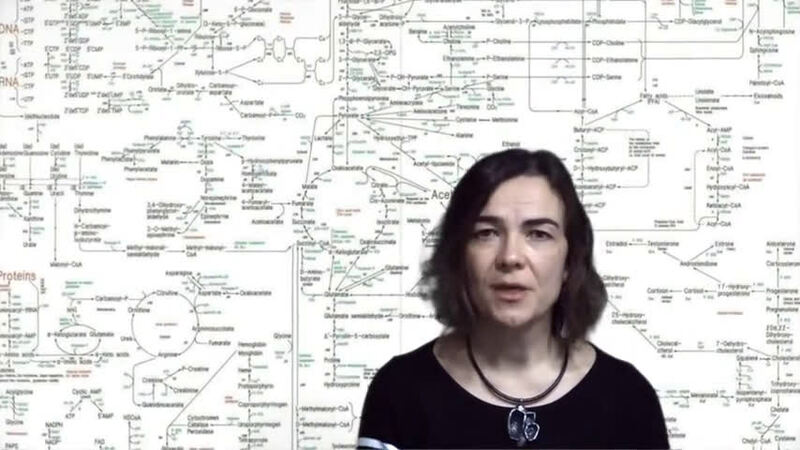 The method developed by Georgakoudi and colleagues may prove to be a powerful research tool for understanding their metabolic signatures.